Italik announces its new Dark Web monitoring services provided through its partnership with ID Agent, provider of Dark Web monitoring and identity theft protection solutions. 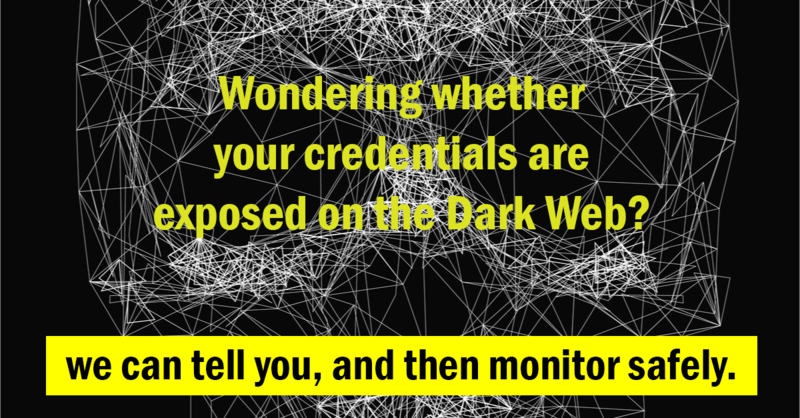 With Dark Web ID, Italik offers around the clock monitoring and alerting for increasingly compromised digital credentials, scouring millions of sources, including botnets, criminal chat rooms, peer-to-peer networks, malicious websites, bulletin boards and illegal black market sites. “We are delighted to be able to offer this service as an additional element of our Managed Security Services and feel that it will add real value to our customers” said Max Carr, Director at Italik. ID Agent provides a comprehensive set of threat intelligence and identity monitoring solutions to private and public sector organizations and to millions of individuals impacted by cyber incidents. The company’s flagship product, Dark Web ID, combines human and sophisticated Dark Web intelligence with capabilities to identify, analyze and monitor for compromised or stolen employee and customer data, mitigating exposure to clients’ most valuable assets – their digital identity. From monitoring your organization’s domain for compromised credentials to deploying identity and credit management programs in order to protect the employees and customers you serve – ID Agent has the solution. For a simple monthly fee this can be added to your support agreement – contact us here to arrange this.